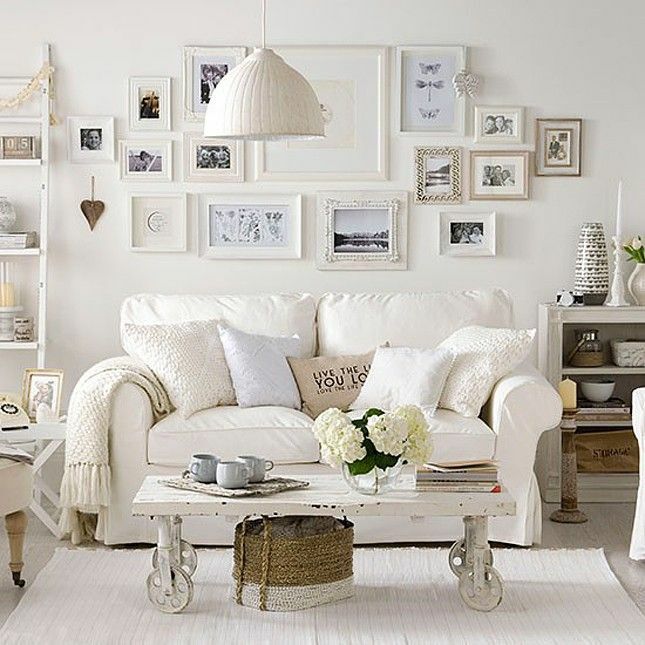 Nothing is better than relaxing in your cozy living room after a long day at work! 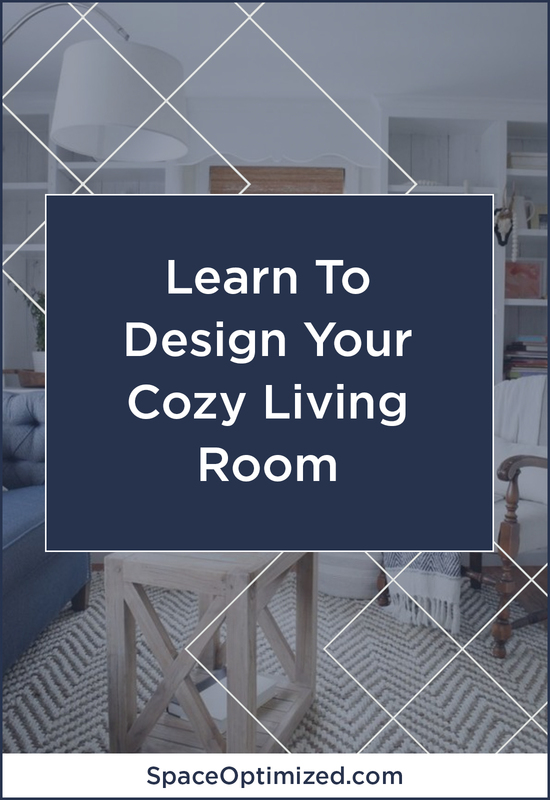 But what if the living room isn’t as cozy or as inviting as you’d like? Maybe the overall apartment design is off or the way the pieces of furniture are set up is making the living room look cold or uncomfortable. The living room is one of the most used rooms in the home so it should look cozy, warm, inviting. A living room arrangement full of negative space isn’t conducive to conversations. If your guests have to raise their voice to hear each other talk then your seating arrangement needs to be updated. If you can, don’t set the seating arrangements along the walls. You have to set the seating arrangement closer to warm up the space and create a conversation-friendly room. 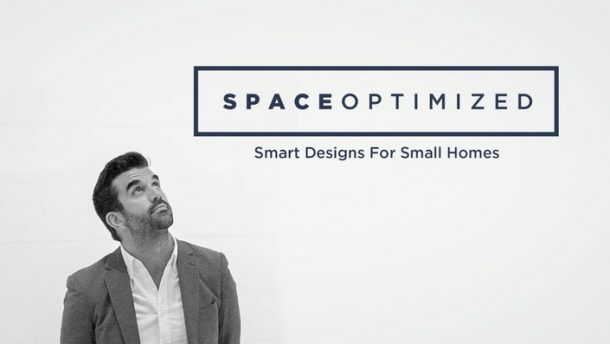 Start by choosing a focal point in the living room and experiment with different placements until you get the apartment design that works for you. Pull the sofa, chairs, and ottomans towards the center of the living room. A great way to instantly create an inviting living room is to use warm and neutral colors such as brown, chestnut, and gold. Incorporating leather, wood furniture, carpets in warm shades is one way to enhance the warmth in a room. 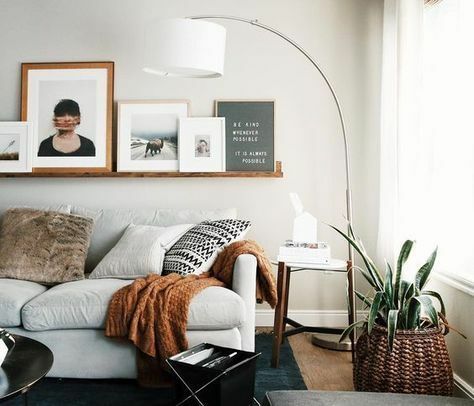 A coffee table, a collection of books, or faux leather sofa in rich, warm hues has a way of making the living space look extra cozy and relaxing. This tip will also work for minimalist living rooms because warm colors pair well with gray and white. From fluffy throw pillows to draperies, plush rugs to carpets, textiles play a key role in creating a comfortable living space. Textiles help soften the room, making hard surfaces appear less stark. 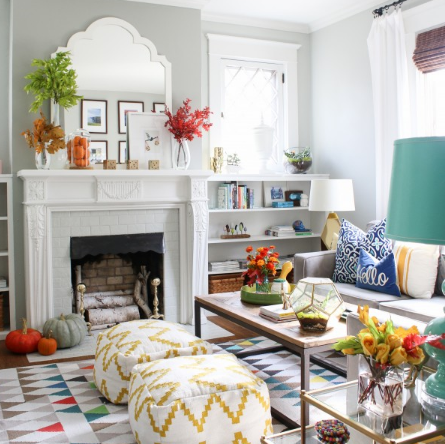 Go ahead and experiment with different textiles to amp the cozy level of the living room! Start with the center of the living room; add a large carpet or a graphic rug to dress the space. Next, dress the seating with cushions with contrasting or complementing colors/patterns to add character to the living room. 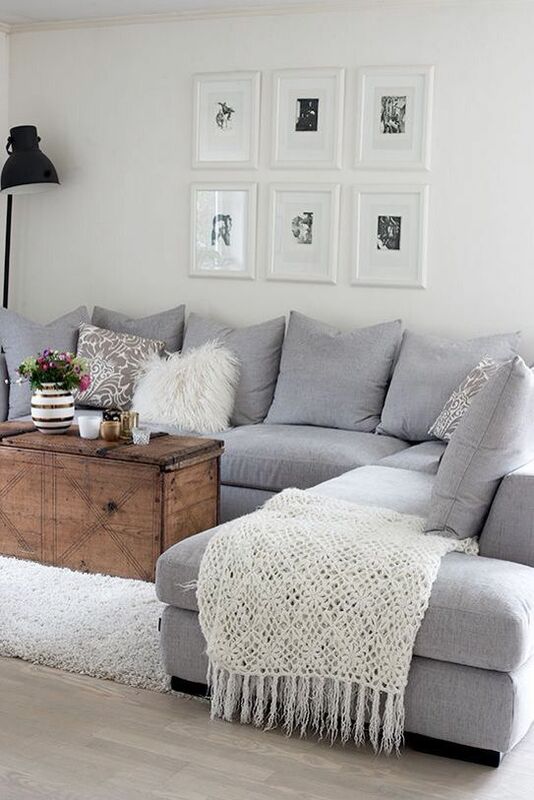 A knitted throw – or anything knitted for that matter – makes the seating look extra cozy too! Use curtains and draperies to define the space. For small living areas with limited seating, you can use floor cushions or poufs as extra seats. Kick up your feet by accentuating the living room with ottomans! 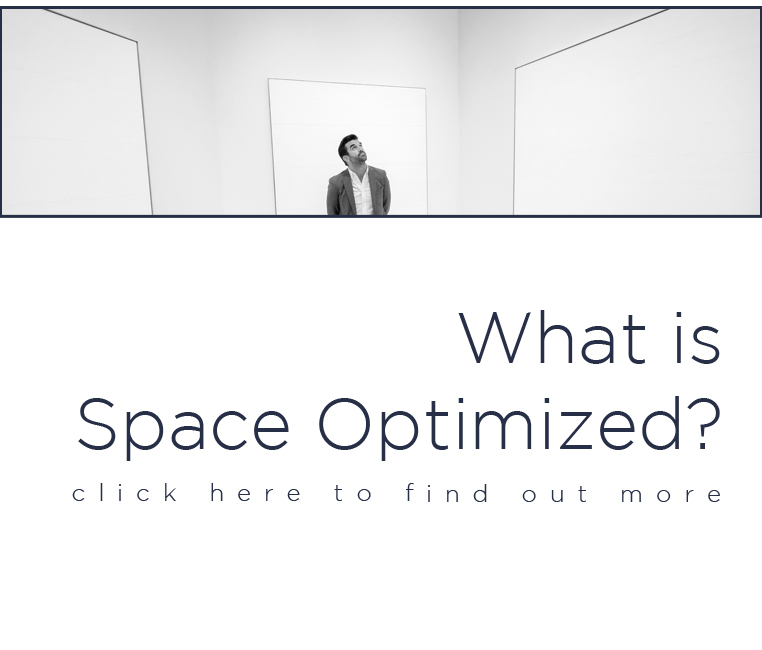 Hard and polished surfaces tend to make a living space look cold and uninviting. Introducing texture to the room add visual warmth to the space. If your living room is drowning in neutrals or if it lacks definition, decorating with greenery is a terrific way to brighten the room. From potted plants to terrariums, flower bouquets to hanging vines, a little greenery makes the living room less stuffy. If say, you don’t have the time or skills to care for plants, try decorating with faux flowers! Take your living room’s coziness to the next level by layering the lighting. Create a warm, inviting vibe by using ceiling fixtures that compliment the rest of the apartment design. Then, add a couple of decorative lamps on the tables to illuminate dark corners. You can also play with hanging lights, reading lamps, and spotlights to define a specific spot in the living room. Finish up by setting several scented candles on the table to give the living room a comforting glow! 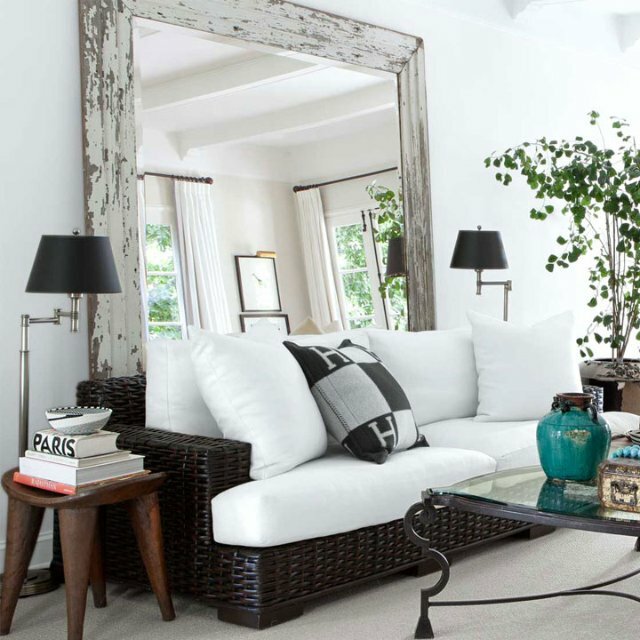 When it comes to adding accents and decors to the living room, avoid items that are too formal, fragile, or impersonal. 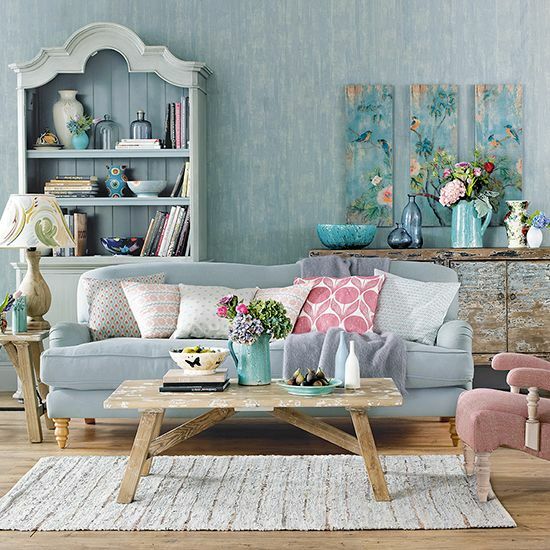 Brighten up the living room by decorating it with items that reflect your unique personality and personal taste! For instance, if you love books like yours truly, fill your bookshelves with your favorite books. Accessorize the home with unique items that make you feel all warm inside. If you have a hobby or you travel a lot, use your living room to showcase items that represents the things you love!